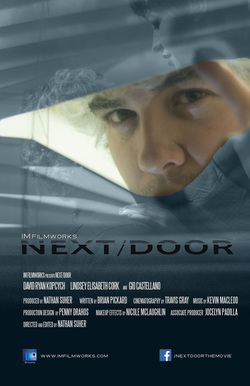 Next/Door is the 11th narrative short film produced by Nathan Suher. It premiered on December 6th at the Route One Cinema Pub in North Attleboro to a packed house. It also recently made it's festival premier at the SENE Film, Music & Art Festival.